Delinda has an ‘Eclectic’ style, and moves easily from Classical, to Broadway, to Country. She not only has a wonderfully clear voice, but she engages the audience with her genuine spirit, heartfelt manner, and energy. Her positive attitude is ‘catching’, so forget being in a bad mood,or ‘feeling down’, as she will lift your spirits! She was born to sing…. It’s not just ‘what’ she does… it is ‘Who’ she is. As a young child Delinda’s father always coaxed and encouraged her to sing for relatives and friends. Her first ‘official solo’ was in youth choir when she was in Junior High. She continued to shine as a singer through High School and then went on to pursue her passion and her talent as a music major in college. Delinda’s classically trained voice, has given her the opportunity to perform her favorite roles, including the evil Queen Mother in Magic Flute, and Madame Butterfly. Her repertoire also includes Standards and Broadway Hits which she has performed in concerts in the US and Europe. 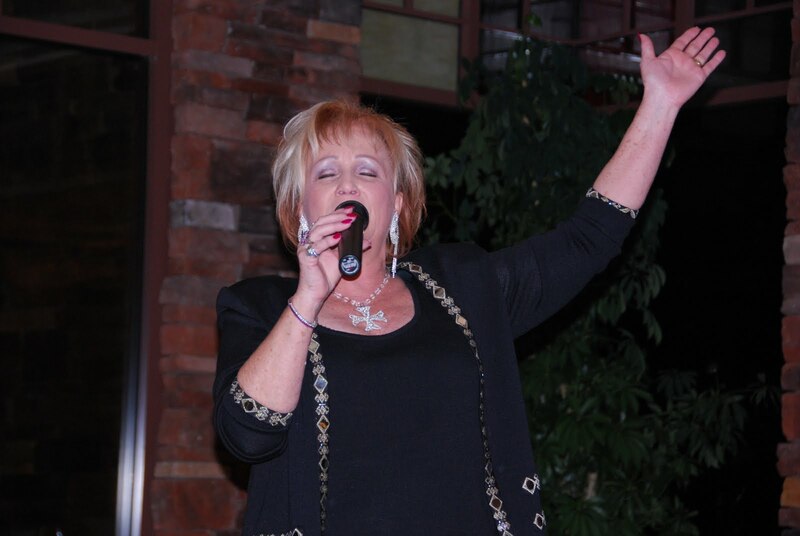 Her favorite genre to sing is Christian music and she is the #1 Christian artist in Las Vegas. Check out the MUSIC SHOP page to listen, I’d love to know your favorites. Reflection – This CD is a collection of songs that touch my heart each time I sing them. It truly reflects my testimony and my Spiritual walk. Hymns with a TWIST – What a joy it is to share this collection of hymns! Hymns are stories of faith… they are a testimony to God’s grace… a picture of Christ’s love… a statement of faith. They are precious expressions of the hymn writer’s experiences of God and of their appreciation of the truth. Yes! Hymns are all that and more! Just as God breathed new life into the old bones in Ezekiel, God has inspired me and has breathed new life…into these old hymns. God is amazing…. He planted this dream in my heart, and then He brought a wonderfully talented man, Larry Walker, to partner with me for this project. Larry could actually understand my ‘lingo’, as I shared with him this vision. I am so blessed. My prayer each day is that God will ‘make me a blessing’, to someone each day, whether through a word, a touch, or a song. On the MUSIC SHOP page you will find some love songs, wedding songs, and fun songs. I hope you’ll take a moment to listen.